How would you like to gain a competitive edge by understanding how to perform Due Diligence? 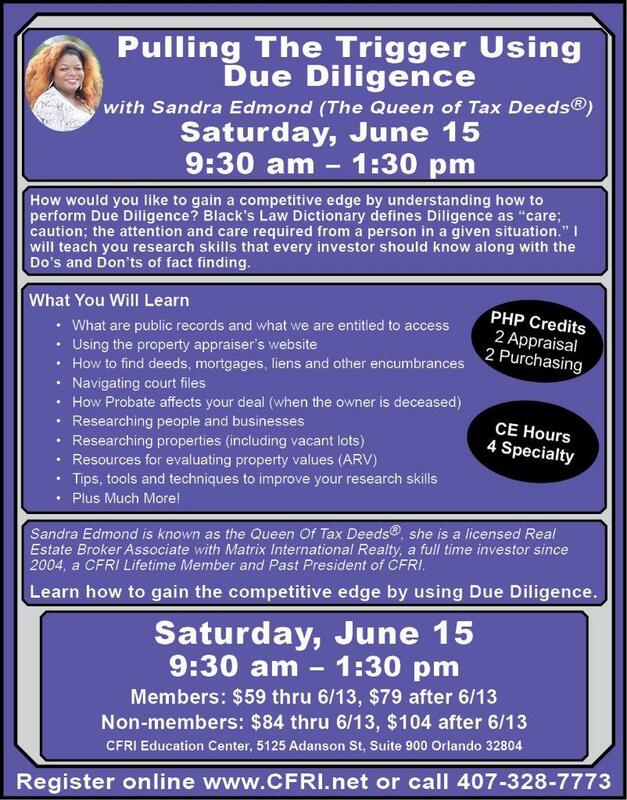 Sandra will teach you research skills that every investor should know along with the Do’s and Don’ts of fact finding. How would you like to gain a competitive edge by understanding how to perform Due Diligence? Black’s Law Dictionary defines Diligence as “care; caution; the attention and care required from a person in a given situation.” I will teach you research skills that every investor should know along with the Do’s and Don’ts of fact finding.